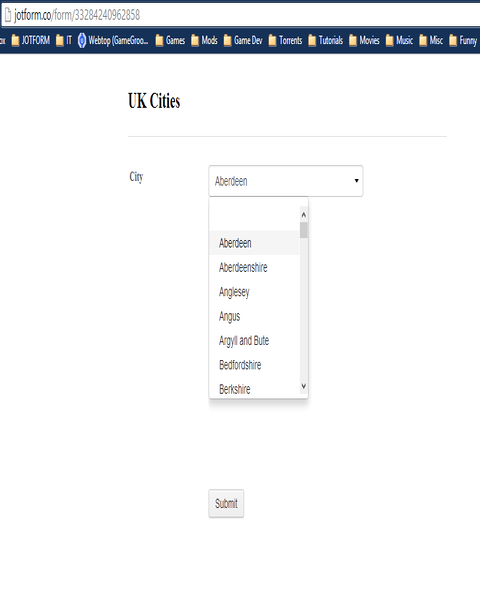 Add a fancy dropdown UK Cities picker on your form using this widget! That&amp;#39;s right, You don&amp;#39;t have to take the time to search and customize your own dropdown version of this anymore! We&amp;#39;ve eliminated the tedious work involved in it by doing everything already for you in this widget where it&amp;#39;s all ready-made. 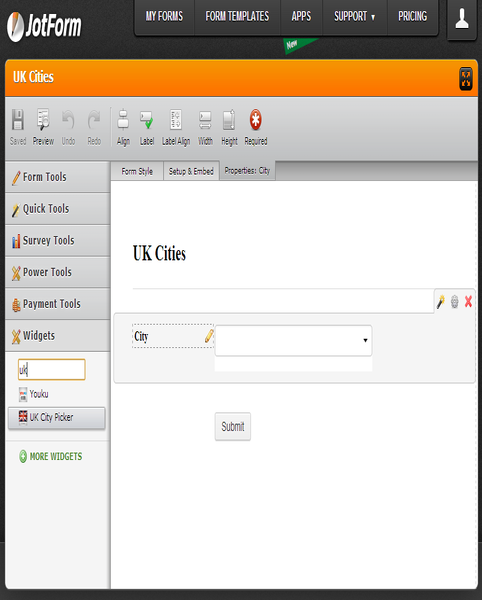 To use this widget, just drag and drop it to your form. There&amp;#39;s no extra options needed unless you want to changed the dropdown height and width. Save your form and you&amp;#39;re done!